Swedish design is touring Shanghai. The Swedish Design Stories exhibition, presenting a selection of designers who have influenced the design field since the turn of the millennium, was shown at the Design Shanghai fair on March 7-9, and now continued its journey to the popular shopping centre Hong Kong Plaza until April 10. There is more to Swedish design than the minimalism it might be known for. The Swedish Design Stories concept looks at the development of the contemporary Swedish design scene by portraying a number of designers who – through artistic practice, craftsmanship and social engagement – have influenced the design landscape, contributing with new stories about Sweden and our society internationally. The exhibition consists of comprehensive texts and images and has, although locally produced in each country for sustainability reasons, been travelling the world since 2015. 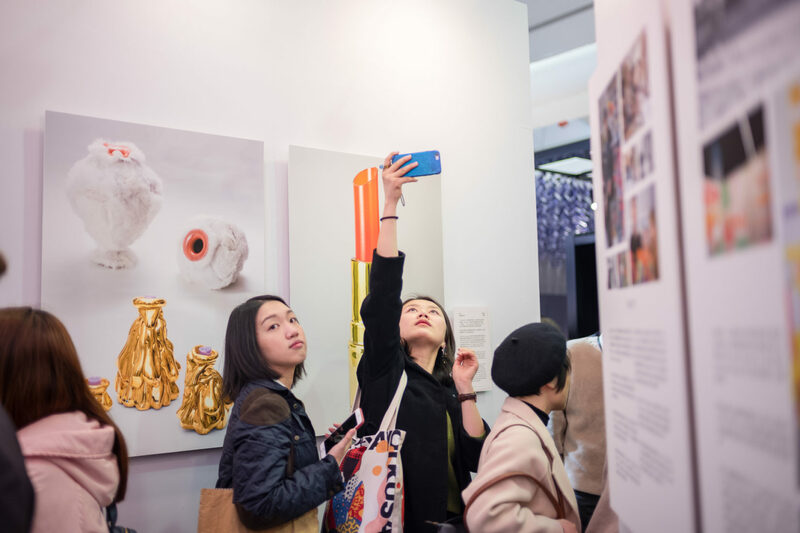 At Design Shanghai – Asia´s leading international design event, attracting visitors from all over the globe – objects by cutting edge design companies Front, Färg & Blanche and Märta Mattsson were also on display and attracted lots of attention. After the closure at the fair, the exhibition continued its journey to the popular shopping centre Hong Kong Plaza in Shanghai, where it will be on display until April 10 – without Front´s playful lamps, Färg & Blanches crafted chair and Märta Mattsons magical jewellery this time.